Nokia has just officially announced the Lumia 610 at MWC 2012, which they are calling “their most affordable Lumia smartphone yet”. 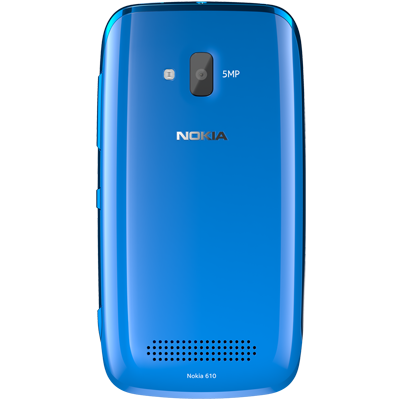 It is a fully-fledged but lower-priced Windows Phone that features all of Nokia’s exclusive Windows Phone applications such as Nokia Drive, Nokia Maps and a new app which they are calling “Nokia Transport”. This new application shows you directions to your nearest station along with timetable information. As you might expect from a lower number in the Lumia range, the Lumia 610 really is a low-end device with a 3.7″ LCD display at 800 x 480, an 800 MHz single-core Qualcom MSM7X27A processor and just 256 MB of RAM. There is also a 5-megapixel camera on the back, 8 GB of internal storage, quad-band HSPA and a 1,300 mAh battery. The device will also be running an update to Windows Phone 7.5 called “Tango”, which helps to bring low-end devices such as this one to China and other emerging markets. The Lumia 610 will be available in Q2 2012 for an estimated price of 189 euros (around US$250) before carrier subsidies. 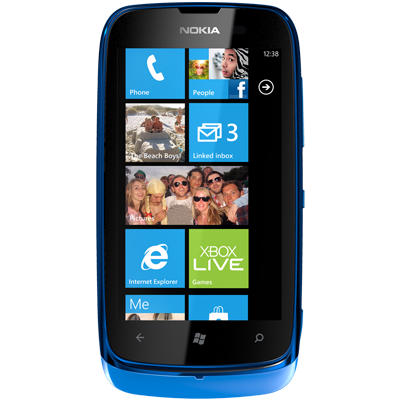 For more information check out Nokia’s new webpage for the Lumia 610. You would think that Facebook founder and CEO Mark Zuckerberg would not be in favor of the Stop Online Piracy Act (SOPA) or the Protect IP Act (PIPA). If you though that, you were proven correct today. On the daythat many web sites are going dark to protest SOPA and PIPA, Zuckerberg made a rare public post onboth his Facebook page and, for the first time in almost three years, on his Twitter page to give his views on both bills. Zuckerberg also posted a link to Facebook’s Washington DC page which has more information about the company’s official stance on SOPA and PIPA. Some of the protesters went to gather in front of the New York City offices of New York-based US Senator Charles Schumer, one of the co-sponsors of the PIPA bill. That legislation is currently scheduled to be voted on by the Senate on January 24. As we reported earlier, another co-sponsor of the PIPA bill, Senator Marco Rubio, has announced that he is withdrawing his support of PIPA and asking that the vote on PIPA be delayed.